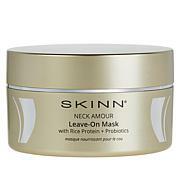 Smooth and soften skin as you improve its look with this Day and Night set from Skinn Cosmetics. 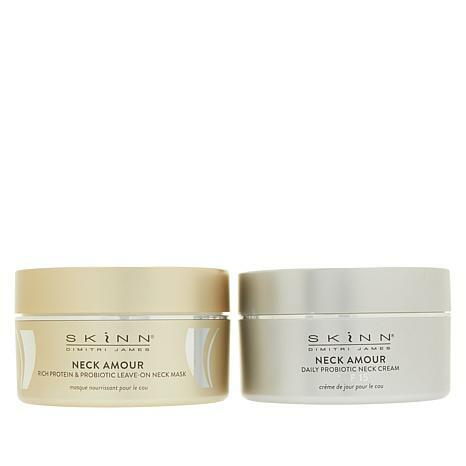 Use Neck Cream AM and PM. Apply a generous amount to skin and massage in circular motions to deliver optimal treatment benefits. Ideal after daily bath or shower. 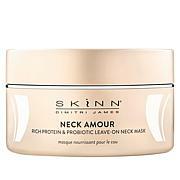 Apply Mask an even layer every night to neck in upward motion. Leave on throughout the night and rinse off in the morning. May be used after serum treatments (sold separately) if desired. Avobenzone (2.0%), Octinoxate (6.5%), Octisalate (5.0%), Octocrylene (1.5%).